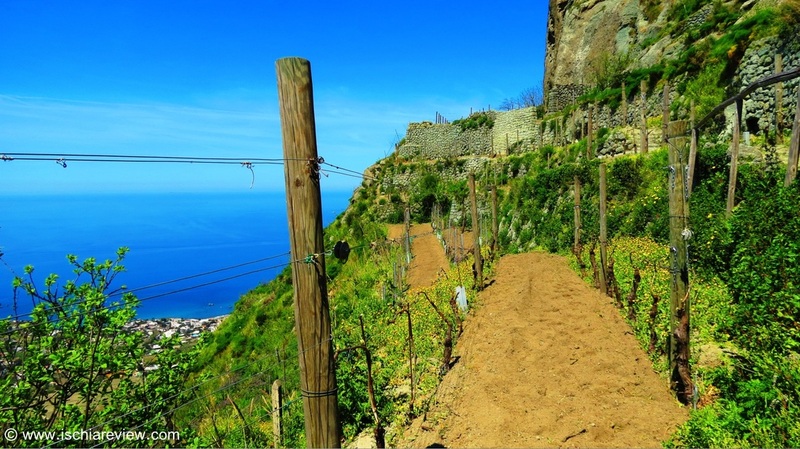 For wine tours in Ischia there’s a choice between the Cenatiempo vineyard in Serrara Fontana, the Pietratorcia Vineyard in Panza and the Casa D’Ambra vineyards in Panza and Serrara Fontana. The price for the Cenatiempo tour is €100 for groups of 5 or less (price is for the whole group, not per person). The tours start at 12:00 and last around 3 hours. The wine is served with some home-made food, like bread with fresh tomatoes, bruschetta with lard, omelette, cheese platter with jams and honey, aubergine parmigiana, cured meats (salami, ham, etc). To make a booking you need to contact Federica at Cenatiempo directly by e-mail using the address federica@vinicenatiempo.it. The Casa D’Ambra wine tour provides two different types of wine tasting. The first tour includes a visit to their “Peasant’s Museum” (a museum where some of the tools that were first used to create the Casa D’Ambra wine are on display), a visit to the cantina, followed by wine tasting in their wine shop in Panza. The price for this type of tour is €31 per person. The above tour is available from Monday to Saturday from 09:00 – 13:00 or from 15:30 – 19:00. 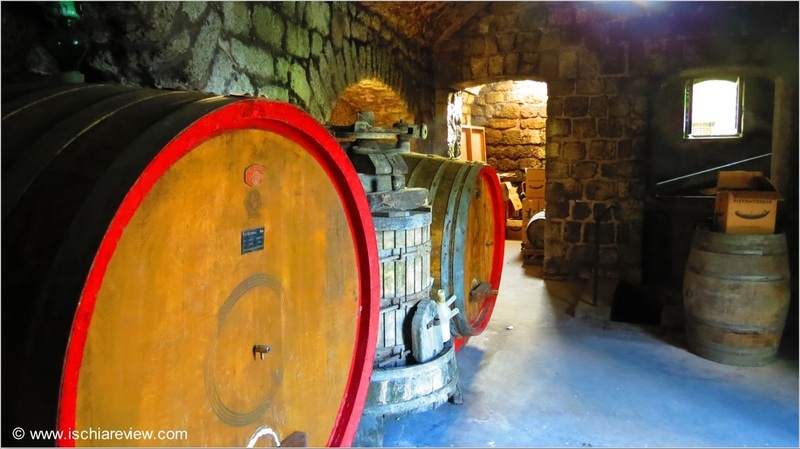 The other type of wine tour includes the visit to the Peasant’s museum, the visit to the cantina, a guided visit to the Frassitelli Vineyard and wine tasting (4 or 5 different glasses of wine) at the hillside Frassitelli Vineyard at a price of €55 per person. To make a booking please contact Sara at Casa d’Ambra directly using the following addresses: info@dambravini.it or alternatively dambrasc@gmail.com. As an alternative, the Pietratorcia Vineyard tour offers the chance to sample 3 glasses of wines while enjoying some local snacks (tomatoes bruschetta, salami, cheese and spicy olives). 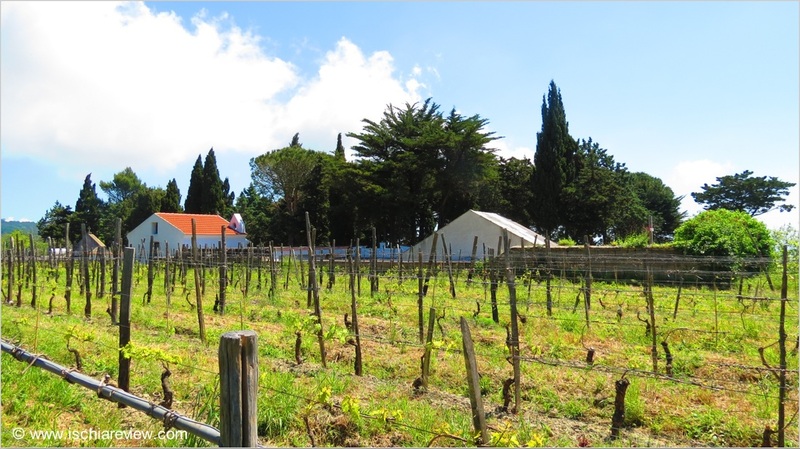 Upon arrival you will be met by the host and shown around the vineyard and the gardens. He will then provide you with seats at a table before bringing out the food and wines for you to try. The tour including the tasting lasts around one hour. For wine-tasting at Pietratorcia the price is €20 per person and to make a booking you can contact them via their phone number, (0039) 081 907 232 or by e-mail, foglia_verde@libero.it. Pietratorcia open from 13:00 - 14:30 for lunch and from 18:30 - late for dinner. During peak season they’re open every day but they close on Mondays from September to mid-June. With their beautiful vineyard and cantina in Serrara Fontana, Cenatiempo offer a unique chance to experience some of Ischia's best wines in a relaxed and friendly atmosphere. 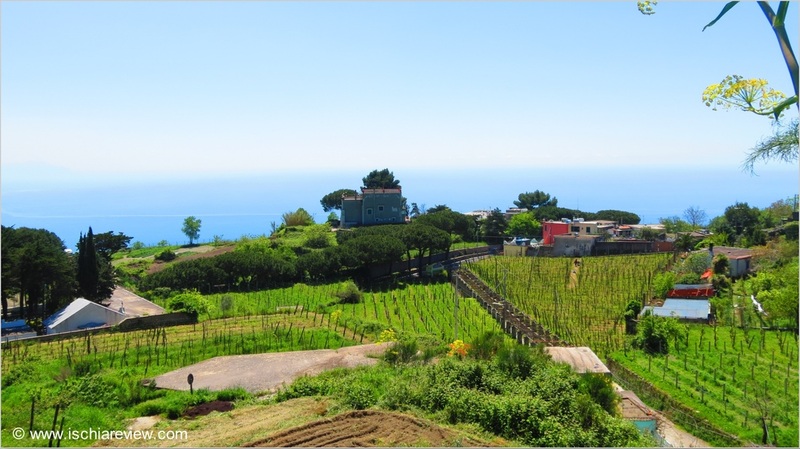 The Pietratorcia vineyard in Panza offers wine tasting and tours of their cantina whilst in the beautiful surroundings of their complex between Mount Epomeo on one side and the sea on the other. Casa d'Ambra are one of the most famous of Ischia's wine producers with a history dating back to 1888. Our vineyard tours allow you to sample some of that history and of course, the wine!